NARROW, RIDER-FOCUSED ERGONOMICS: A slim, steel fuel tank is shaped with knee grip in mind, and the entire ergonomic layout is designed to make the rider feel like part of the bike. 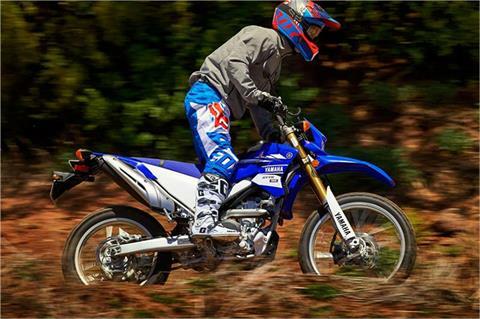 RACING-DERIVED SADDLE: Narrow, YZ-inspired seat features gripper-type cover for great seat-of-the-pants feel. Seat height is 36.6 inches. 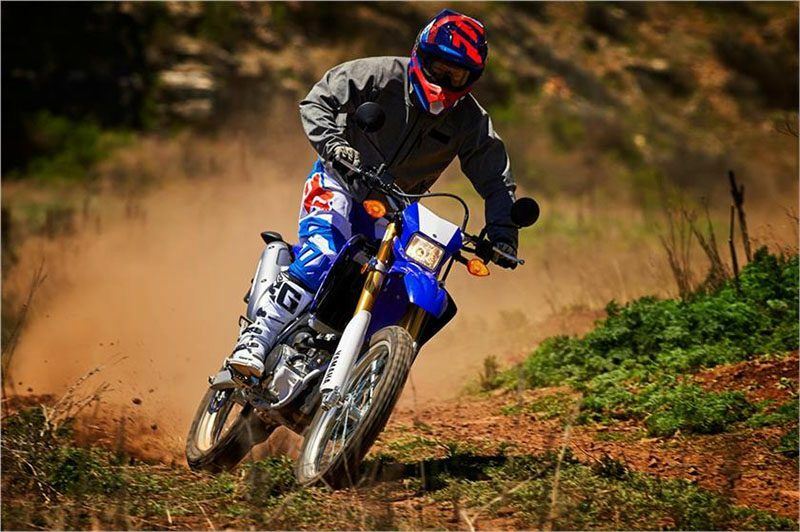 ENDURO INSTRUMENTS: WR enduro-style instrument panel provides excellent visibility in spite of the compact size. 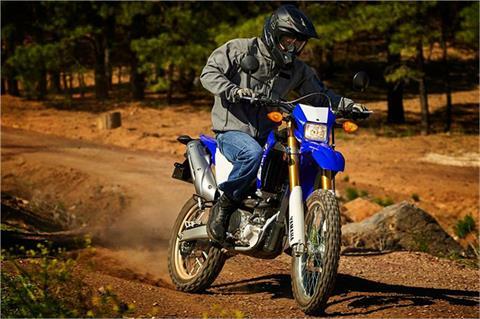 Basic mode provides speed, clock, tripmeter and self-diagnostic function. Measurement mode includes a stopwatch and distance-compensating tripmeter. COMPACT BODYWORK: Minimalist front and rear fenders are designed for function, simplicity, and lightness. Bodywork with separate radiator heat outlet helps keep engine and rider cool. 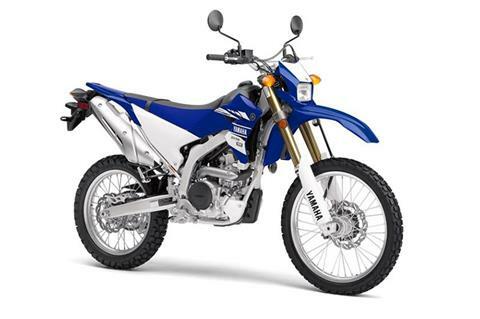 YZ-STYLE CHASSIS: YZ/WR250-inspired semi-double-cradle frame uses a main frame of cast and forged aluminum sections, with high-strength steel downtubes for excellent strength and rigidity characteristics. 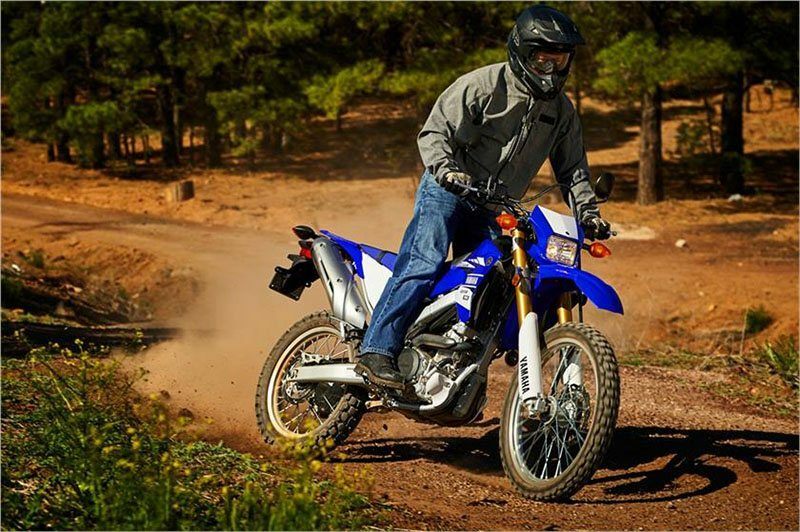 ADVANCED SWINGARM: Asymmetrical swingarm provides excellent strength/rigidity balance and a dynamic look. 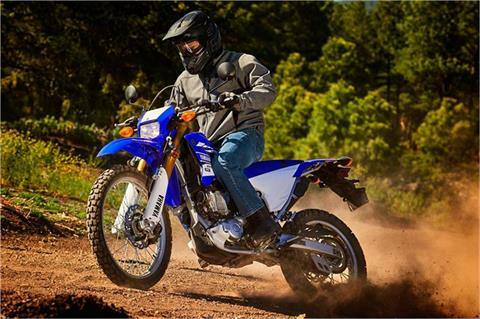 Cast aluminum crossmembers, extruded arms and a 22mm rear axle are carefully tuned for optimum handling. LINKAGE-STYLE SHOCK: Linkage-mounted rear shock provides 10.6 inches of travel with adjusters for compression damping, rebound damping and spring preload—and features a 14mm rod and 46mm cylinder for excellent damping and fade resistance. 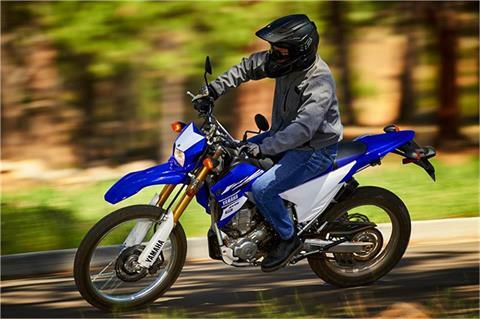 DUAL WAVE-TYPE DISC BRAKES: Wave brake rotors front and rear, including a large 250mm front disc, reduce unsprung weight and provide excellent performance. Rear pedal is forged aluminum. 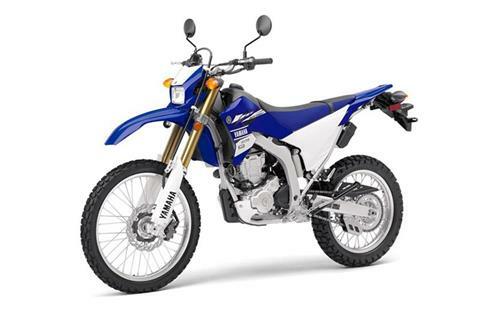 HIGH-TECH FOUR-STROKE POWERPLANT: 250cc liquid-cooled, DOHC engine with two titanium intake valves and two steel exhausts, forged piston and plated cylinder for outstanding durability. 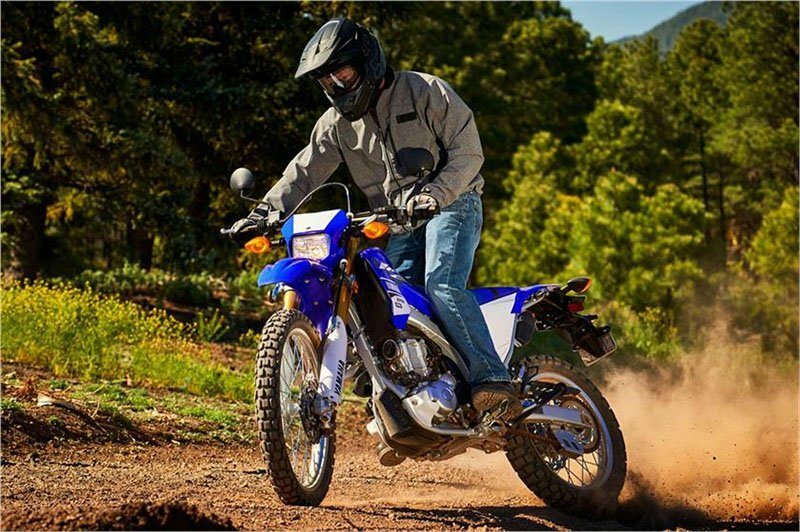 ADVANCED, HIGH REVVING CYLINDER DESIGN: Pentroof combustion chamber with downdraft-type straight intake helps make excellent power across the rev band, with maximum power at 10,000 rpm. EXUP® EXHAUST: An ECU-controlled EXUP® exhaust valve, along with an electronic intake control valve, broadens the powerband. 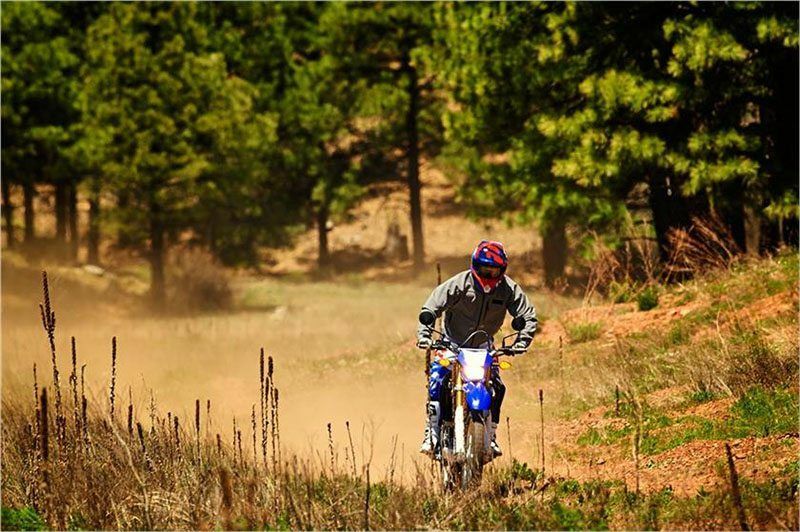 DURABLE ENGINE INTERVALS: High-lift cams have WPC surface treatment in which the surface is sprayed with fine powder at over 100 meters per second to increase surface hardness. COMPACT ENGINE: Three-axis engine layout keeps the engine compact. Wet sump tucks between frame rails to keep the engine height down. HIGH-PERFORMANCE GENERATOR: Rare earth-type ACM alternator keeps the weight down while providing all the current needed to run the FI and lighting systems. 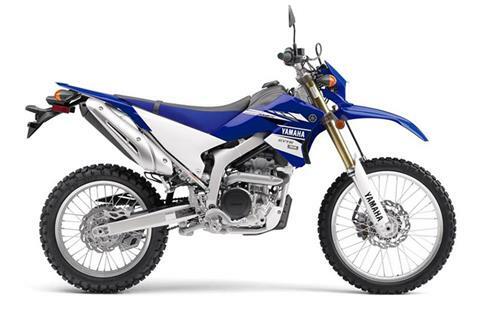 COIL-ON-PLUG IGNITION: Direct ignition coil sits atop the spark plug—another first on a Yamaha on-off road model. COMPACT MUFFLER: Tucked-in, three-chamber muffler helps keep mass centralized and the bike quiet. 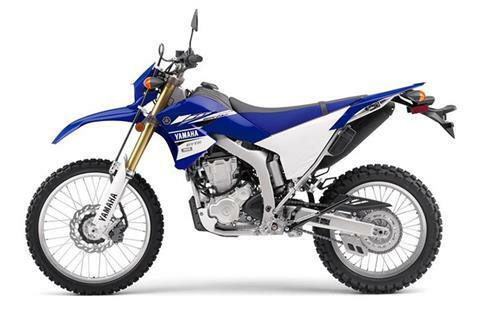 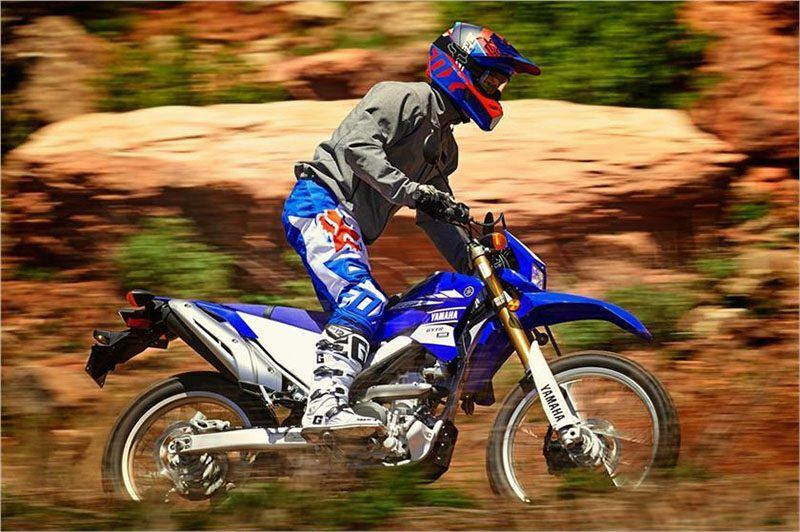 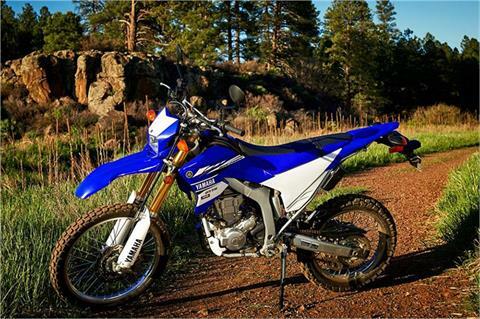 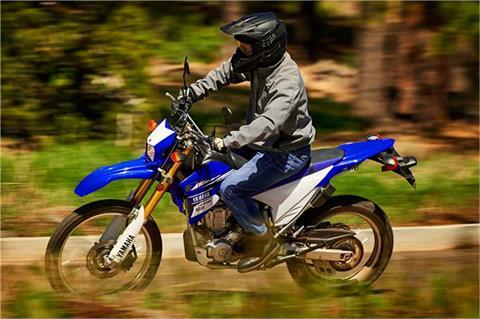 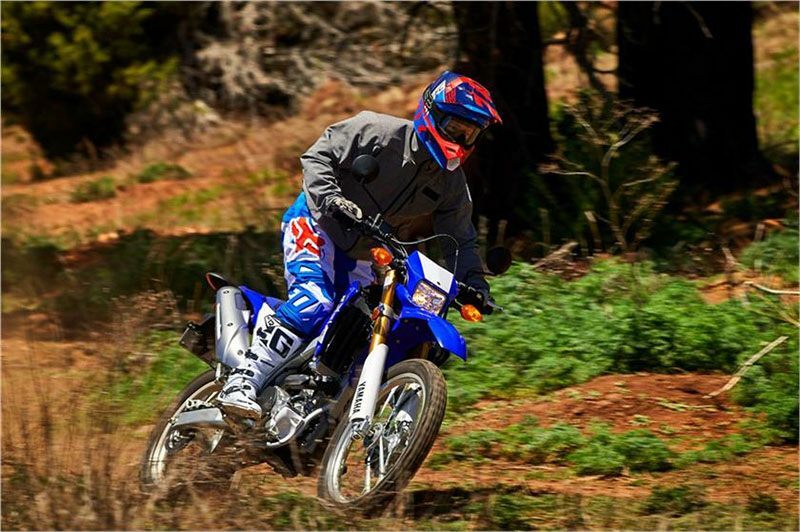 YZ-F DEVELOPED DUAL SPORT: Directly descended from our YZ motocrossers and WR off-road machines, the WR250R is here to make Yamaha’s off-road prowess street accessible. 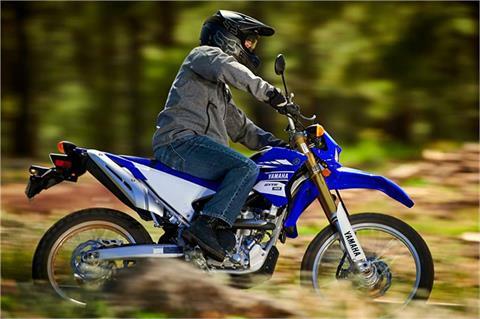 OFF-ROAD FOCUSED PERFORMANCE: Not exactly an enduro model and not a streetbike either, the WR250R is for riders who ride off-road more than on.